June 2010 – King James Only? Much of the reason for various positions in the textual debates centers on the differences between the manuscripts. If all the manuscripts were virtually identical, we’d not be blogging about the problem of textual variation. King James Only proponents like to stress how much the differences matter. Additionally, they like to highlight the many differences between Vaticanus (B) and Sinaiticus (א), two of the chief witnesses for the Alexandrian text-type. Thee manuscripts differ thousands of times in the Gospels alone, it is pointed out. So they must be faulty witnesses, and bad manuscripts. In short, this proves they aren’t worth much when it comes to their textual quality. In sharp contrast with those manuscripts, the Byzantine manuscripts largely agree and have little variation. The conclusion is raised that these must be carefully copied and more accurate and worthy manuscripts. What do the differences really tell us? Dan Wallace has a helpful, brief article which addresses just this question. I’m going to excerpt a portion of it, but recommend you go read the whole thing. There are a few thousand differences between Vaticanus and Sinaiticus. This is a point that MT advocates think helps their cause. Actually, it hurts them. Here’s why: (a) Westcott and Hort noticed those differences, too, and argued that precisely because of so many differences the common ancestor between B and Aleph must be at least ten generations back. They felt, with good reason, that the common ancestor came from deep within the second century. Consequently, when the two MSS agree, their combined testimony should normally be regarded as quite ancient. Wallace’s remarks helped me immensely when I first read them. They still ring true today. What do you think? Is he right? We’ve been posting links to an excellent series on the Bible’s teaching on preservation, by Aaron Blumer over at SharperIron.org. The last couple installments in this series, have looked closely at Thou Shalt Keep Them: A Biblical Theology of the Perfect Preservation of Scripture, edited by Kent Brandenburg. Here is an excerpt from today’s article by Blumer. I encourage you to go over and read the whole thing. Was a Freemason the Chief Editor of the KJV? So, is it true that Sir Francis Bacon, who was the originator of English Freemasonry, was the King’s chief editor for the publication of the KJV? This book also claims that the intentions of King James was to solidify the English language by sending his Bible to all English colonies to strengthen his kingdom and the pursuit of establishing the New Atlantis or as we know it today, the New World Order. 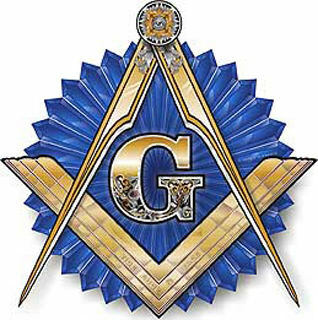 Here’s a website that has more in depth detail about the Masonic symbols that found their way into the first edition of the 1611 KJV. Those who like to assign cult connections with the NIV, Westcott and Hort’s Greek text and other conspiracies that seem to lend weight to the alleged corruption of other versions tend to overlook the skeletons in their own closet. 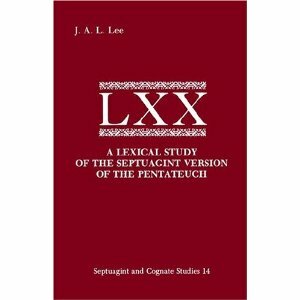 Let’s just face it, the preservation, transmission, translation and publication of the Bible in nearly all versions from the LXX to as lately as the HCSB and ESV have all had dirty hands involved in the work that God has sovereignly used to preserve His Word in the multiplicity of manuscripts and translations that we have today. To try to claim that the KJV is the only one that is un-spotted from such people is delusional and wishful thinking.